Today's Coast to Coast is as diverse as Girl Scouts! Check it out. Long Island's News 12 reports that the Girl Scouts of Nassau County shipped 1 million cookies to U.S. troops in Afghanistan and Bahrain. Operation Cookie is now in its eighth year and came about through donations from community members. DHL is also donated its services to ship the 50,000 cookie boxes. Arizona's Ahwatukee Foothills News has a profile on adult volunteer Debra Gutierrez. Growing up in Florida, she remembered losing touch with a friend she made at Girl Scout camp only to reconnect with her again in middle school, then high school, and again years later online. Gutierrez encourages others to join Girl Scouts at any age. The Tennessean reports that U.S. Rep. Marsha Blackburn will be honored in New York’s Central Park this month as one of 10 female difference makers. The acknowledgment comes as part of More Magazine/Fitness Magazine Women’s Half-Marathon’s 10th anniversary celebration. Blackburn, recently promoted to vice chair of the House Energy and Commerce Committee, joins a select group of honorees including Anna Maria Chávez, CEO of Girl Scouts of the USA, and Elisabeth Hasselbeck, the Emmy-winning co-host of “The View.” The 10 “Women Run the World” honorees will kick off the women-only, 13.1-mile running event at 7:45 a.m. with a special salute and will be presented an award after the race. Each honoree will form a team of nine friends and colleagues to join her on race day to be recognized at the event. Florida's Tampa Bay Times reports that in 12 years, the Girl Scouts of West Central Florida have honored 310 Women of Distinction, including the four announced recently for 2013. "Sense of duty is the thread that connects us to all of you," said Elise Minkoff, one of the honorees recognized at the annual luncheon in Tampa. 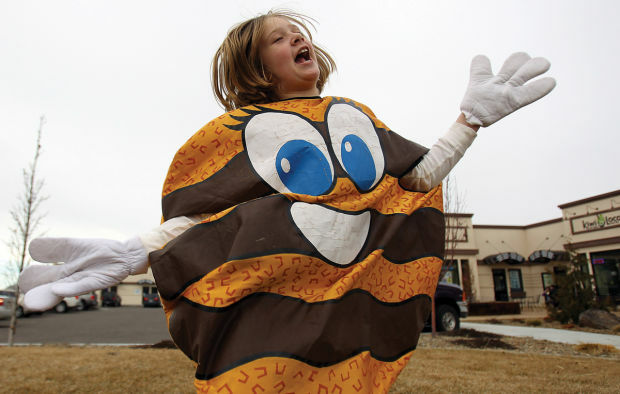 Idaho's Twin Falls Times-News reports that Local Girl Scout troops will set up shop all month at neighborhood grocery stores, banks and businesses where you can pick up boxes of your favorite cookies. 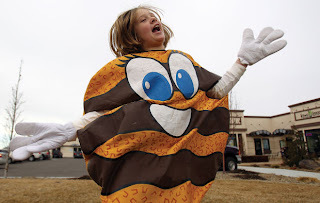 While buying cookies provides a sweet treat for you, the simple interaction of buying from a Girl Scout provides her with experience in running her own cookie business and money management. According to the Halifax-Plympton Reporter in Massachusetts Girl Scouts is launching an innovative, national anti-bullying program for girls in grades 6-8. Locally, the program Be a Friend First will be offered by Girl Scouts of Eastern Massachusetts at Camp Wind-in-the-Pines in Plymouth during April vacation, April 16-19. BFF, a name selected by girls, is based on Girl Scouts of the USA’s leadership curriculum. Research shows that bully behavior peaks in middle school when social acceptance becomes increasingly important. Middle school girls need the support, information, and strategies to help deal with relationships and to know that they are not alone when confronted with bully behavior. BFF teaches girls about teamwork, solving conflicts and communicating effectively – skills needed to have healthy relationships throughout their lives. Below, Girls from California, Ohio, and Massachusetts talk about how Girl Scouts gives you the skills to deal with bullying and become a better friend.